Another walk along the Rio Hondo riverbed. This time we are at Treasure Island Park. 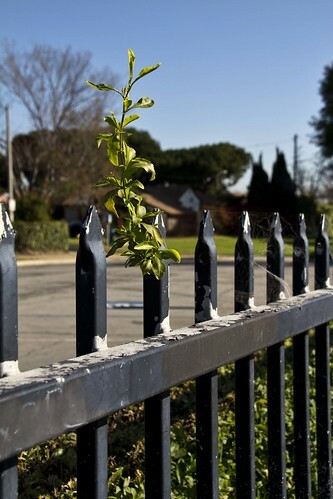 Somehow the shrub planted along the fence managed to actually grow through one of the support pieces of the metal fence.